You can PRE-register by copying, printing, and then filling out the form below! ​Then bring it with you the day of the Auction. 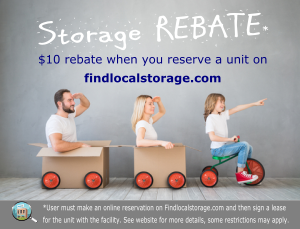 MT Storage Auctions acts as agents for the Landlords of Self Storage facilities. Our auctions are conducted in accordance with the Montana Self Storage Facility Act - the tenants of auctioned storage units are in default of rent for their units. Bidders cannot be relatives, friends, or delinquent tenant of unit. 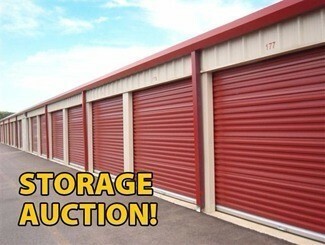 We sell the entire contents of a storage unit as a single lot. All items will be sold AS IS - WHERE IS. The Auctioneer neither makes nor implies any warranties or guarantees of any kind. The door of the storage unit will be raised and Bidders may only look at the contents from OUTSIDE the unit. All sales are final - NO REFUNDS FOR ANY REASON! You are bidding on ALL items within each lot, and the winning bidder is responsible for removing EVERYTHING in that lot from the storage facility, within 48 hours. You may not use the dumpsters or otherwise dispose of any garbage on these facilities. Beware – offenders may be prosecuted. If you fail to remove any item within 2 days, (48 hours), it will result in automatic rental of monthly storage, subject to current terms and conditions of the rental contracts of Mini Storage Facility. In such case, Bidder agrees to pay the rent payments, the first of which shall be due 48 hours after auction end if not vacated and broom clean, subsequent payments due each month until unit is vacated per Facility contract. Rent payments shall be due whether or not bidder has received any notice that such payments are due and bidder’s card on file will be charged. Winning bidders will pay a 10% Buyer’s Premium on top of their winning bid. Keep this in mind while bidding! Example: if your winning bid is $1000 you will pay an additional $100 buyer’s premium, the balance of $1100 is due immediately at end of auction in CASH. Any cleaning deposits charged by Storage Facility will be returned to the buyer after the storage unit has been handed back to the Facility Manager in a “broom clean” condition within 48 hours. The Auctioneer reserves the right to cancel any bids, for any reason. Immediately following the auction, you must go directly to make FULL PAYMENT for all your items, with CASH. You will be given a receipt, which you must show to the facility staff, before removing any items. Nothing may be removed until after full payment has been made in cash. Bidder agrees to indemnify and holds harmless Auctioneer and Landlord of any damages or injury resulting from attendance at any auction and the removal of property from any auction. Upon acceptance of a bid by the Auctioneer, the risk of loss to the property shifts to the Winning Bidder. If you purchase a vehicle, boat, or any other item which should be registered at the Department of Motor Vehicles (DMV), then we cannot guarantee that you will be able to get a title for the item. You will be given the necessary paperwork proving purchase by the Storage Facility. It will be your responsibility to take this paperwork to your local DMV office, to obtain the title. Any taxes, registration, and/or title fees are the responsibility of the winning bidder. It may take a few days before the DMV issues your title, depending upon the DMV workload and the previous history of the item (they may have to conduct record searches). However, item must be removed within a 48-hour time period. If you find any “personal items,” including family pictures, personal paperwork or business records, then you must make an attempt to return them to the delinquent tenant. You may get mailing address/phone number from Storage Facility Manager. We will not tolerate any foul language or inappropriate behavior of any kind. Smokers: Please do not smoke inside buildings or while bidding. If bidders do not abide by our rules and regulations, or do not act in a respectful manner, the Auctioneer and the Storage Facility Manager have the right to tell you to leave the property and you may be banned from all future auctions. Additional rules may apply if verbally announced by the Auctioneer. Storage facilities warrant and represent that they have the right to sell items in storage units per Montana Code Annotated 70-6-420. Said goods can be auctioned without any violation of any federal, state, or other regulations. Facility agrees that MT Storage Auctions is held harmless against any claims of the nature regarding any auctions. Bidders must contact the Storage facility with any concerns post-auction. You may only attend our auctions if you have completed and signed this form. You must show your Driver’s License when registering. No exceptions! Credit Card may be required by Storage Facility for a successful bidder. Your signature below indicates that you have read and agree to all the above rules for our auctions.